The recovery model of schizophrenia represents a paradigm shift in both the conceptualization and treatment of schizophrenia. 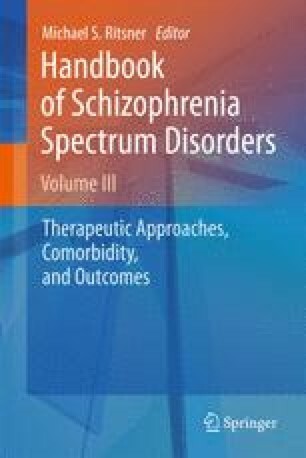 However, the varied use of the term “recovery” in research and clinical settings has caused confusion about what it means in relation to schizophrenia. Two views of recovery appear in the literature including a medical model, having its origins in treatment outcome studies; and a consumer model of recovery, which was conceived from the writing and testimonials of former patients. The medical model of recovery suggests that there are many possible outcomes in the prognosis of schizophrenia and many patients do experience periods of symptom remission and improved functioning. On the other hand, the consumer model of recovery suggests that recovery involves integrating illness into a multifaceted sense of self that actively pursues goals, interests, roles, and aspirations despite the limitations imposed by the illness. This model emphasizes hope, empowerment, and overall wellness regardless of the status of symptoms and functional disability. The current chapter is an overview of the medical and consumer views of recovery and studies supporting both models. Despite their distinct origins and focus, both models of recovery offer a hopeful view of recovery in schizophrenia; however, implementing the consumer model of recovery in mental health systems is freight with challenges.